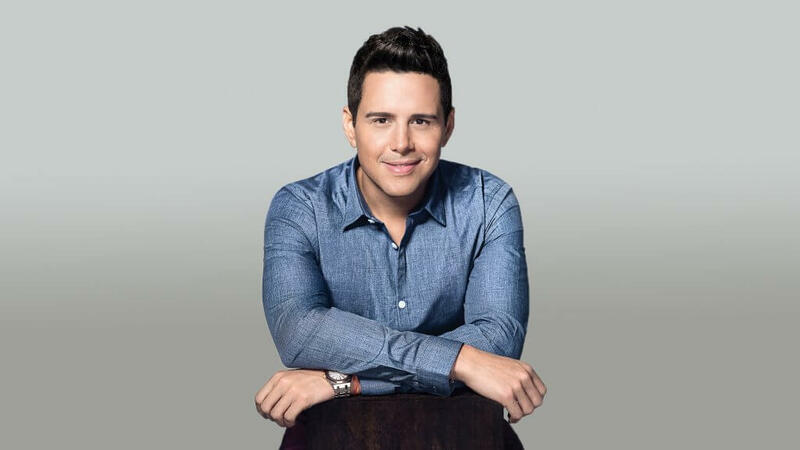 These days, Alejandro Chabán is on top of the world. The former host of Univision’s morning show “Despierta América” is the founder and CEO of Yes You Can! — the first and only healthy lifestyle brand with a Latin flavor. His latest book, “Think Skinny, Feel Fit: 7 Steps to Transform Your Emotional Weight and Have an Awesome Life” has also been crowned a New York Times best-seller. Currently, Chabán has a net worth of $5 million, according to Celebrity Net Worth. But life hasn’t always been smooth-sailing for the Venezuela native. At age 15, he weighed 314 pounds and struggled with not only emotional, but physical challenges as well. 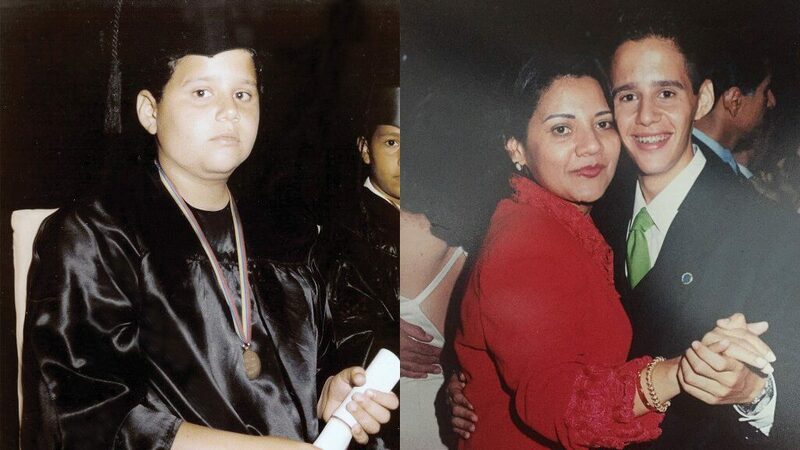 (left) Chabán before his weight loss. (right) Chabán when he developed anorexia. Read on to learn how Chabán was able become a successful and healthy millionaire — and find out how you can do it, too. If you’re an aspiring entrepreneur trying to get your business off the ground, you need to take actionable steps, said Chabán. This includes creating a vision, setting goals and coming up with a mission. While hosting on Univision, Chabán developed a business plan, studied his industry and became a certified nutritional wellness consultant. He also started helping people for free in order to learn and grow. So if you want to succeed, be ready to work, make sacrifices and really focus all your energy and effort into your dream. “There are no easy ways out,” said Chabán. “We need to avoid instant gratification.” Instead, focus your efforts on developing short-, mid- and long-term goals. Chabán came to the U.S. in 2004 to star in a soap opera. However, he went broke during the 2008 financial crisis. And like many Americans, he was forced to take on various side jobs to make ends meet. For example, he worked as a clown and at a fast food restaurant so he could pay his bills. Taking on embarrassing side jobs weren’t the only sacrifices Chabán had to make on his path to becoming a millionaire. For more than 10 years, he didn’t go back to Venezuela to see his family. But instead of looking at these experiences as only sacrifices, Chabán chose to look at them as investments. “I was investing in my future. I was investing in the long-term goals,” he said. In October 2016, Chabán announced his decision to leave his job as host of Univision’s morning show to focus exclusively on Yes You Can!. Overcoming this fear required Chabán to leave his comfort zone, which has since become a part of his daily routine. Chabán said he now asks himself daily what he would do if he had no fear — and he forces himself to do it. “Normally, that’s the route we should all take, but we all avoid [it] because we’re scared of changes, we’re scared of getting out of our comfort zones,” he said. Chabán's official headshot for his book, "Think Skinny, Feel Fit." He’s now a New York Times best-selling author, but Chabán heard crickets from publishers when he first started shopping book ideas. In fact, one woman who did respond to his query told him to forget about becoming an author, because he wasn’t a good writer. So, Chabán started taking writing lessons. “I started writing one page a day and sending it to my friends,” he said. Chabán also hung out with more writers to immerse himself in the field. And, he enhanced his credibility by becoming a certified nutritional wellness consultant. Slowly but surely, Chabán developed the expertise he needed to gain a reader’s trust — and the writing skills to relay a captivating message. Chabán’s path to becoming a millionaire wasn’t easy, but now he’s enjoying life surrounded by his loved ones. Chabán said having his family here in the U.S. feels amazing and gives him a sense of fulfillment. Grateful to be able to give his family a better life, he believes every night he spent awake and every sacrifice he made was 100 percent worth it. “Every morning when I wake up, I have a purpose,” Chabán said. His future will likely be filled with many more accomplishments, but for now, Chabán is still getting used to his best-selling author status. “This morning, when they said that the book was No. 1 on Barnes and Noble, No. 1 in Spanish worldwide, No. 1 in English worldwide, I’m just so proud, so grateful,” he said. Getting a business off the ground typically involves lots of rejection and many less-than-glamorous tasks. If you’re having trouble staying motivated, use Chabán as your inspiration. If you’re willing to put in the time and energy, you can write your own success story. This might mean working multiple jobs to make ends meet, but remember — it’s only temporary. See whether McGregor or Mayweather is worth more in the ring.